The best-case scenario for the Red Raiders? The nation’s top defense locks down two straight opponents en route to the national title. Editor's Note: Welcome to Morning Madness, SI’s daily newsletter during the NCAA tournament. We'll provide you with insight, analysis, picks and more from our college hoops experts around the country. Sign up here. We're previewing the entire Final Four field in Morning Madness this week. Texas Tech is making its first Final Four appearance in program history after defeating top-seeded Gonzaga in the Elite Eight. Here's everything you need to know about the Red Raiders as they prepare to take on Michigan State. Texas Tech cruised to the Elite Eight, winning its first three tournament games by double digits, including a 19-point drubbing over Michigan. The Red Raiders suffocated the Wolverines to 44 points in the Sweet 16, then held on for a 75-69 win over No. 1 Gonzaga to reach the first Final Four in school history. Chris Beard’s squad has avoided any final-minute drama en route to the Final Four. Perhaps a nail-biter awaits in Minneapolis. Tariq Owens is a force to be reckoned with. The St. John’s transfer earned All-Big 12 defensive honors in 2018-19, yet still entered the NCAA tournament under the national radar. That should change over the weekend. Owens anchors the nation’s No. 1 defense, per kenpom.com, and he ranks seventh in the nation in blocks. He limited WCC Player of the Year Rui Hachimura to 8-of-19 from the field in the Elite Eight, including a key block on a three-point attempt from Hachimura late in the second half. Jarrett Culver is Texas Tech’s headliner, but don’t forget about Owens and his mammoth wingspan. The nation’s top defense locks down two straight opponents en route to the national title. A battle against Virginia in the title game may go to the first team to 50. 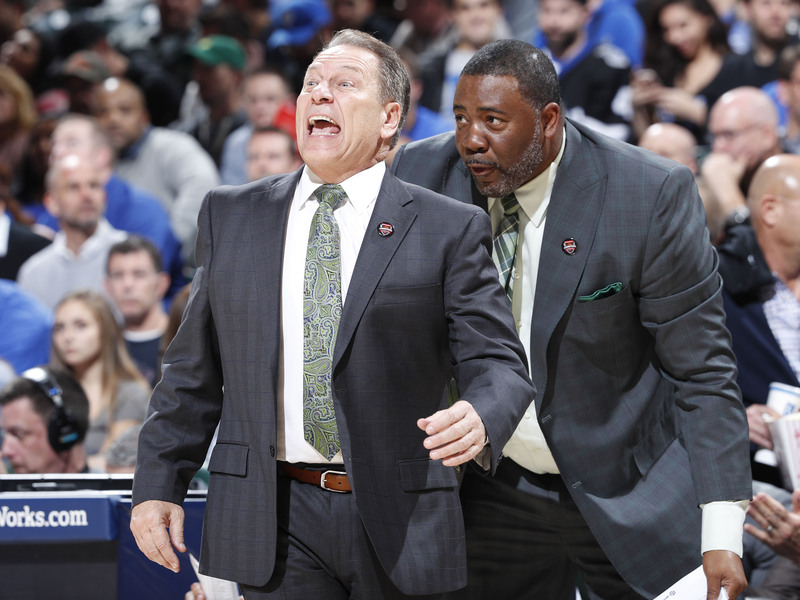 Against Michigan State, Culver will need to match Cassius Winston with a 20-point effort. The same could apply if the Red Raiders face Bryce Brown and Auburn on Monday night. Lubbock may be viewed as an outpost in West Texas, but it could very well be home of the national champions on Monday night. Michigan State could bottle up Culver and expose Texas Tech’s lack of perimeter athleticism. Guards Matt Mooney and Davide Moretti can shoot it from deep, but neither are particularly big or fleet of foot. Culver—a Lubbock native and likely top-10 pick in June’s NBA draft—should be able to shoulder the offensive load. But an off night could end the Red Raiders’ run on a disappointing note. Mooney and Moretti will dictate Texas Tech’s offensive output. Owens and the defense will show up regardless of its opponent, and Culver is too talented to go out with a whimper. If the Red Raiders’ secondary scorers contribute (especially from beyond the arc), the national title is within reach. A pair of bad shooting nights, and Tech’s tournament run will fall just short. The Big 12 Player of the Year is built for the big moment, capable of generating crunch-time buckets in isolation. Culver beat Iowa State with a 31-point effort on March 9, and he scored 26 in a win over Kansas on Feb. 23. Culver even went toe-to-toe with Zion Williamson in December, scoring 25 in a loss at Madison Square Garden. The hometown kid could be crowned the tournament’s Most Outstanding Player on Monday. • Who are our writers backing in the Final Four, and why? • The 2020 Maui Invitational field has been announced. No team will score over 70 points. We may remember 2019 as the slug-fest Final Four, especially if Texas Tech meets Virginia in the final. The Cavaliers play at the nation’s slowest pace. Auburn, Michigan State and Texas Tech all rank outside of the top 150. Auburn is the Final Four’s best offense, and the Tigers rank just 36th in points per game. Expect possessions to bleed the shot clock in the second half, with each bucket critical. We should be in for three competitive, albeit low-scoring, games. 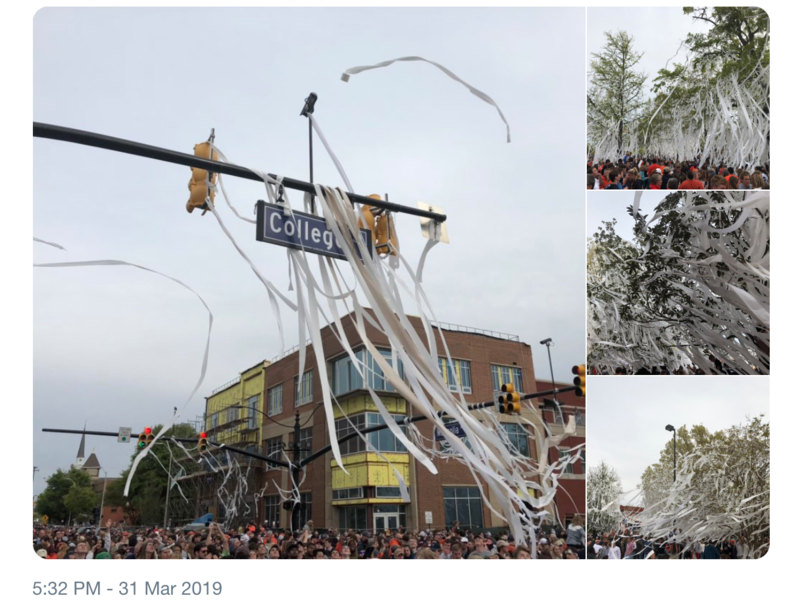 Are we sure it’s not football season at Toomer’s Corner?